From the land of Japan comes the game Merry Bear. The main menu is in English. The gameplay is kept sweet and cute. 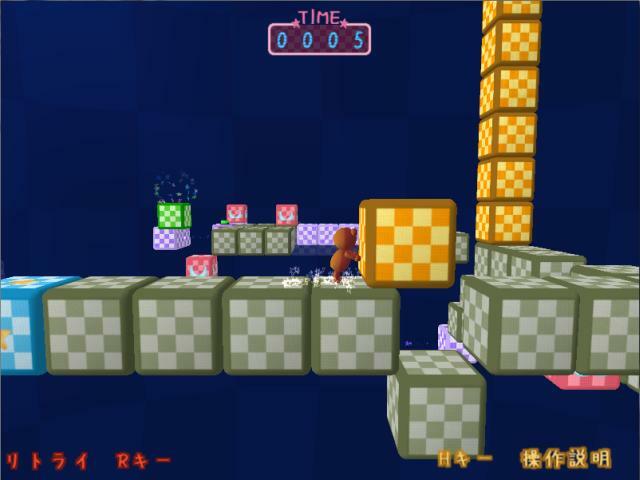 We play a little Teddy Bear running through the levels, with some puzzles to solve, usually sliding puzzle. 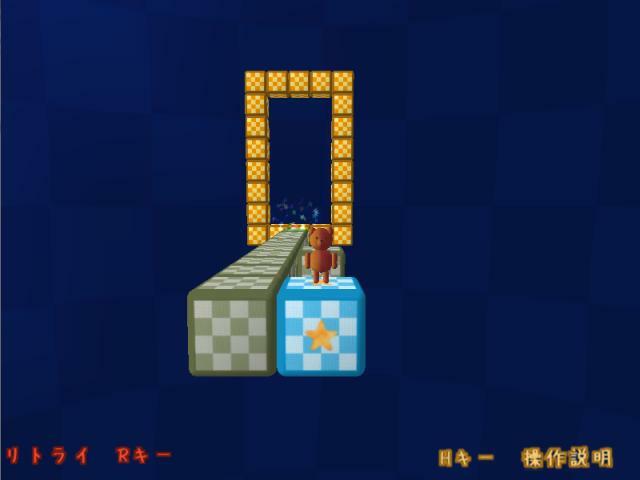 The goal is to interact with the objects in each level using "space bar" so that you will build a path to the goal. It is not always easy!